Details about FISHER PRICE DISNEY CARS IXL SOFTWARE FREE SHIPPING! COMPLETE WITH MANUAL! 3-7. 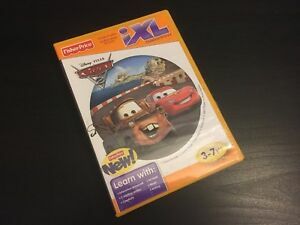 FISHER PRICE DISNEY CARS IXL SOFTWARE FREE SHIPPING! COMPLETE WITH MANUAL! 3-7.